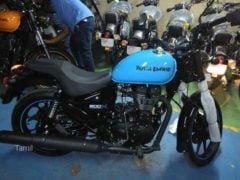 It looks like the Royal Enfield, the popular South India-based classic bike manufacturer, is almost ready to launch the new Royal Enfield Thunderbird 500X and Thunderbird 350X motorcycles, If a recent report is to be believed, the company has finalized 22nd February as the launch date of its updated cruisers. It may be noted here that the duo has already been spied at what appears to be a dealership yard. The highlights of the new motorcycles are there vibrant paint options and a handful of styling updates. The new Thunderbird 500X and Thunderbird 350X will launch in a range of candy colours that include shades of Red, White, Yellow and Blue. It doesn’t look like there will be any change in the specifications. 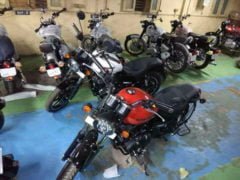 The new Royal Enfield 500X and Thunderbird 350X will offer the same performance as the regular variants. The 350cc model will get the same 346cc engine that outputs a maximum power of 20 hp along with a peak torque of 28 Nm. On the other hand, the new Thunderbird 500X will have a 499cc, single cylinder, air-cooled motor that outputs a maximum power of 27 hp along with a peak torque of 41 Nm. Both the motors come mated to a five-speed manual transmission. The new bikes will have disc brakes on both the wheels and ABS might be on offer, too. 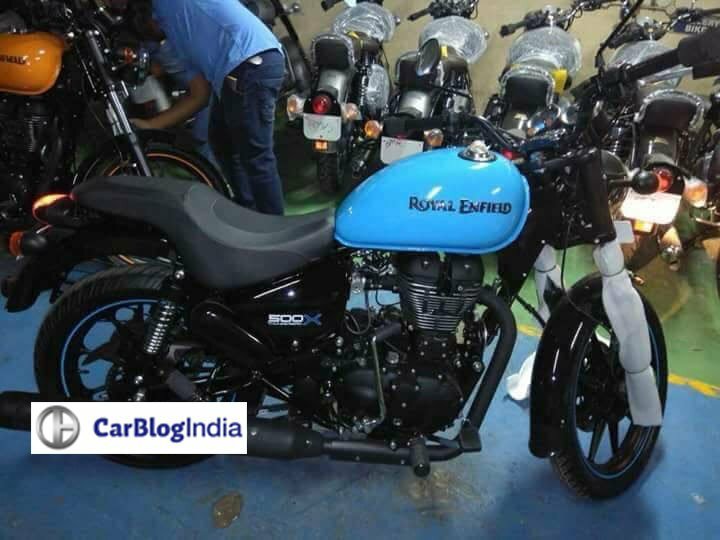 Like we said, there are very good chances that the new Royal Enfield Thunderbird 500X and Thunderbird 350X will launch on February 22. It is being reported that many dealerships have already started taking unofficial bookings of the new models. Prices of the new bikes shouldn’t be too different from those of the regular bikes. It may be noted here that the regular Thunderbird range starts at Rs 1.57 lakh. The new models offer more in terms of features. Hence, we expect them to command a considerable price premium over the regular models. Expect the price of 350X to be roughly Rs 1.70 lakh while the new 500X could cost Rs 2.10 lakh. The motorcycles, in all probability, will be able to justify the higher price through more features and fresher looks. 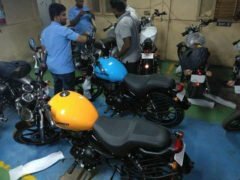 So, are you waiting for the launch of the new Royal Enfield Thunderbird 500X and Thunderbird 350X? Share your views with us by writing them down in the comments section below. Also, stay tuned to Carblogindia for the latest news updates on cars and motorcycles relevant to India.